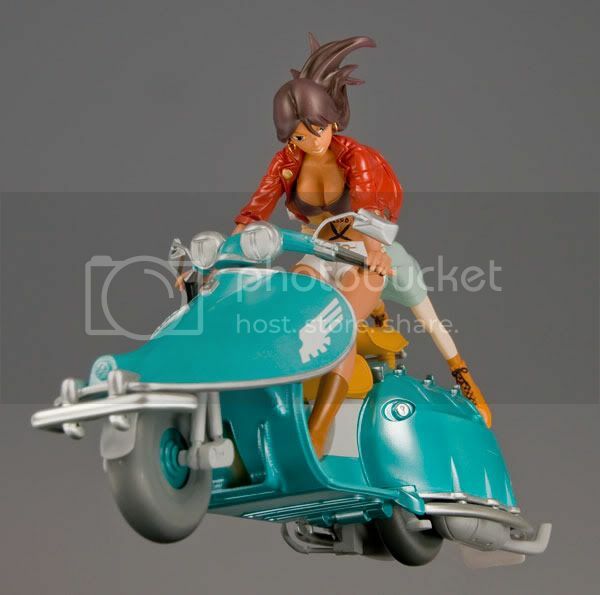 Kaitendo is going to release the Michiko and Hatchin Jump Chapter 1/12 Polystone figure from the anime Michiko and Hatchin. 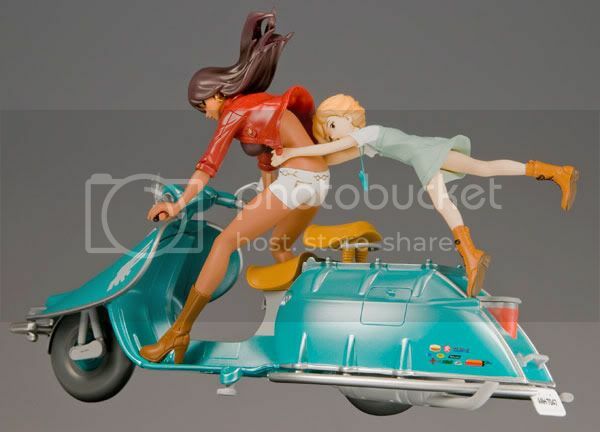 Will be released in November 2010 around 16,800 yen. Let's become realistic with this... 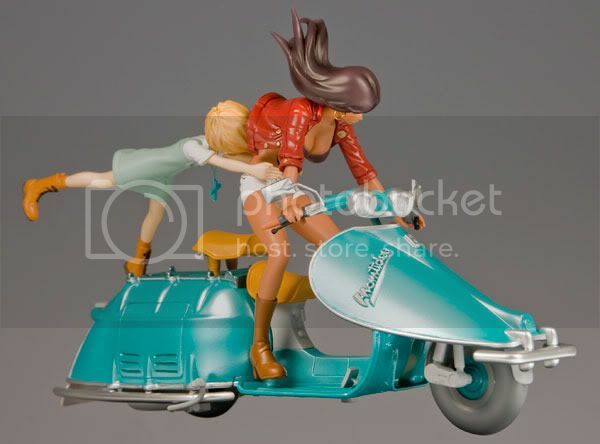 Does this figure is worth enough to be tagged with such a high price? 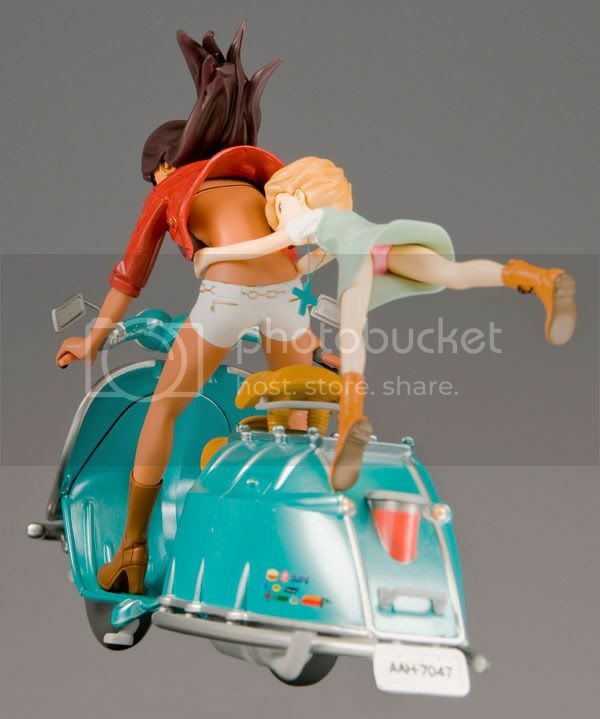 How could they dare to price this 1/12 scale figure with over 15,000 yen?! 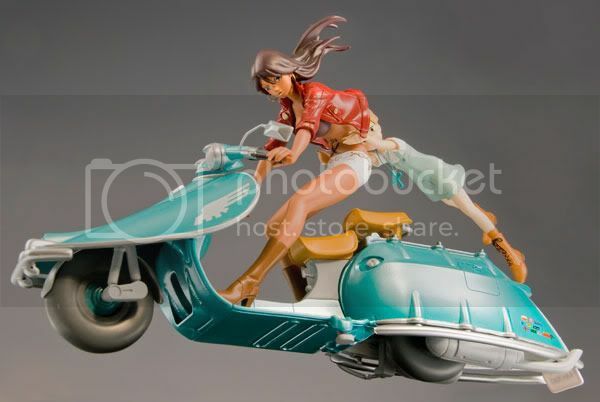 Okay, it's a Polystone and it's expensive.. but everything about this figure looked so awfull. 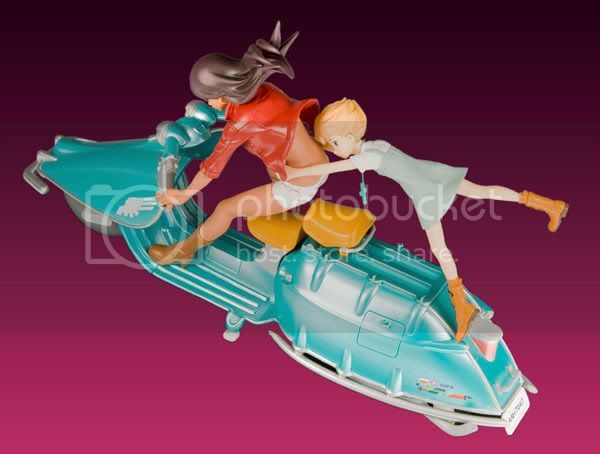 The expression is so flat, as well as their unrealistic flying gesture. The finishing are too glossy also. 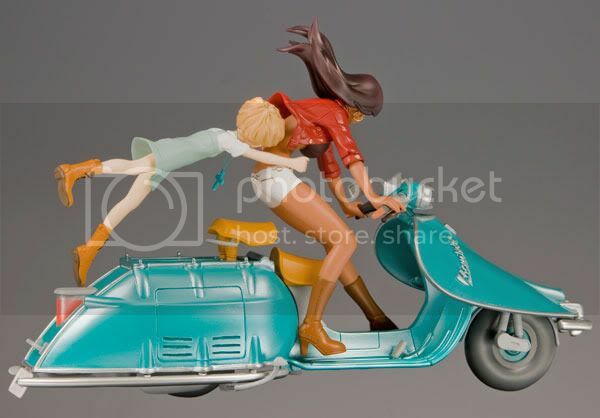 The only thing that can make me smile after viewing this figure was the scooter, because I am a scooter fan and I love scooter so much. 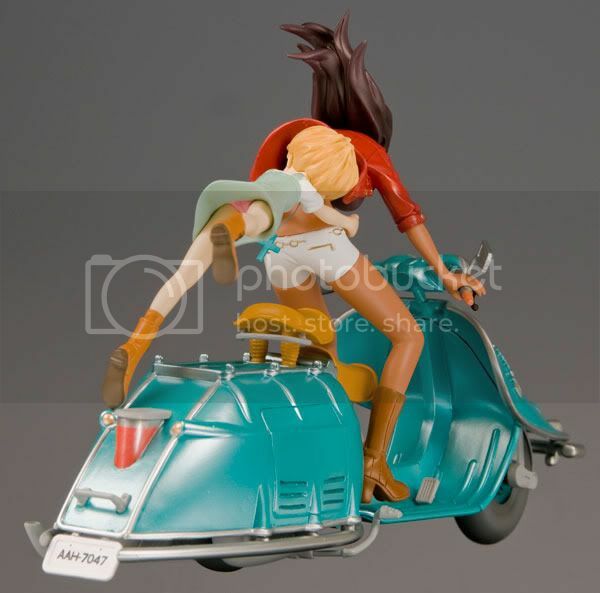 I think Kaitendo have been doing a crime to many Michiko and Hatchin fans out there.